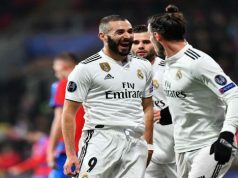 Real Madrid are back to winning days thanks to youngsters Lucas Vazquez and Borja Mayoral, who played a brilliant game against Levante, and helped by Cristiano Ronaldo earned Los Blancos a 1-3 victory in La Liga. 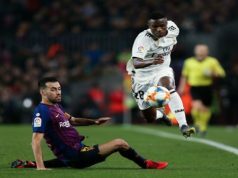 The hosts had the first chance to open the score, but Keylor Navas was superb to deny Giuseppe Rossi’s effort from close range. Vazquez was brilliant in the right wing and he was Los Merengues most dangerous player. After 20 minutes, the Spaniard got to the byline and picked out Ronaldo at the front post. Yet, Diego Marino was there to block the Portuguese’s shot. Ronaldo missed another major chance as he picked a loose ball in the edge of the box. His volleyed attempt was saved by Marino. However, in the next play, the Portugal international redeemed himself. Vasquez won the spot kick as he was brought down by Orban, and Ronaldo made no mistake from the spot. Three minutes later, Mayoral made a brilliant play and managed to drive a shot through Simao’s legs. His effort hit the post before fortunately deflecting off Marino and into the back of the net. Levante shorten Real’s lead right in the next play as Rossi slipped the ball through to Deyverson, who perfectly picked out the bottom corner out of Navas’s reach. Zinedine Zidane men were more threatening after the break, especially Ronaldo, who had several chances to secure the win for the visitors. His best chance went begging, as he got on the end of a fine lofted ball over the top, only for his side-footed attempt to come back off the post. Navas also save Real in the last minutes as Ruben Garcia’s effort took a slight deflection on the way through. Yet, the Costa Rica international made a superb save to save his team. Isco sealed the victory in stoppage time after receiving a pass from Ronaldo and sending a precise effort into the bottom corner. 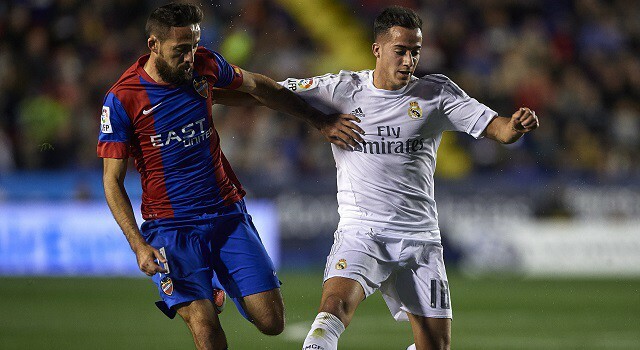 Can “World’s Best Club” Real Madrid Still Win La Liga?